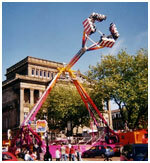 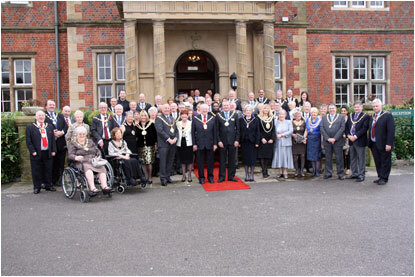 Every January, the Lancashire Cheshire & North Wales Section stages its Annual Luncheon. 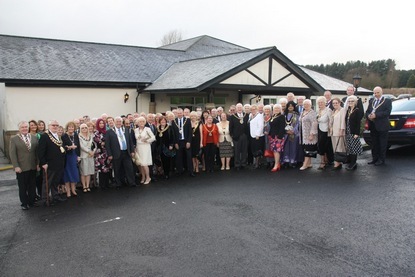 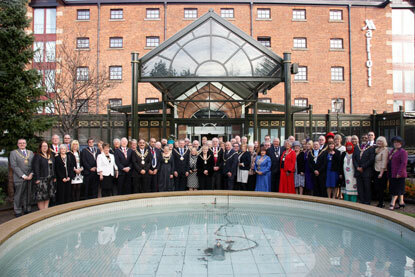 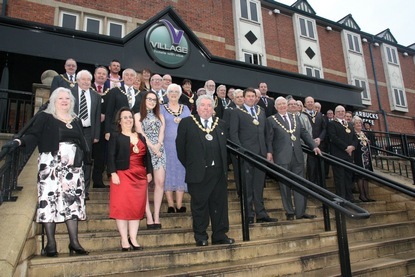 This highly–anticipated event, which moves around the region, is the largest annual gathering of civic dignitaries from across the North West of England and well–received wherever it goes. 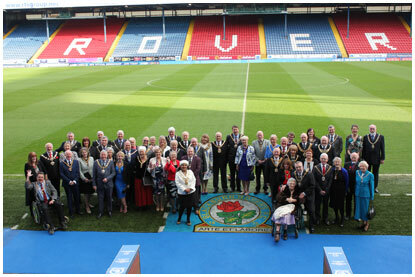 We stage the function simply to say “thank you” to those many local authorities with which our members do business during the course of the season. 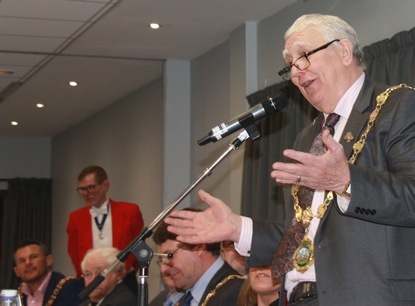 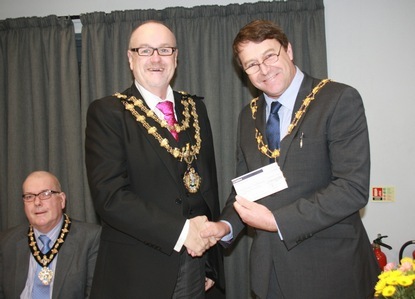 A brief address from the chairman and president are granted a response from the mayor of the borough and one invited guest. 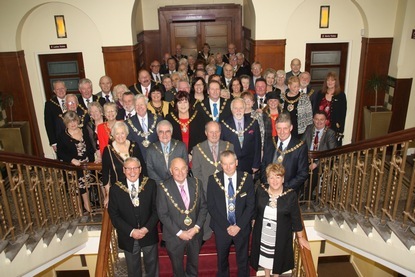 Other than that, there is no formal business; the luncheon is simply a chance to catch–up, enjoy each other’s company and usher in the new year. 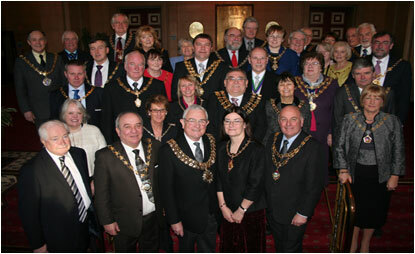 The Showmen’s Guild also stages an annual Parliamentary Dinner and MP’s reception in Westminster. 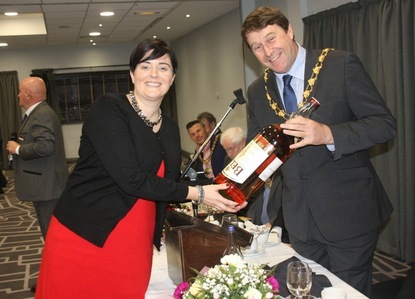 Recently showmen and MPs from the North West took part in a friendly football match to race money for Cystic Fibrosis, one of several fundraising efforts undertaken by the Guild and its members throughout the year. 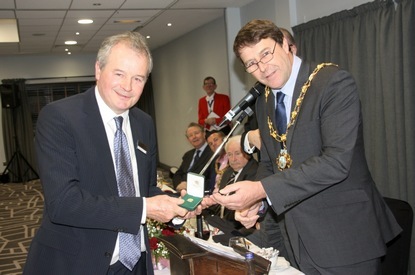 There now follow a number of photos from these various occasions, proof that a showman’s life is not all bright lights, fun and games. 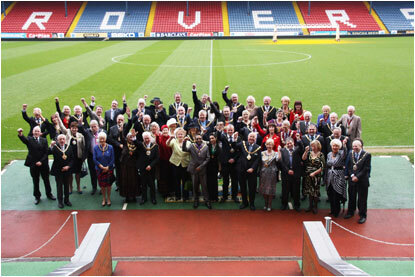 The “chain gang” at the 2012 Annual Luncheon (Ewood Park, Blackburn). 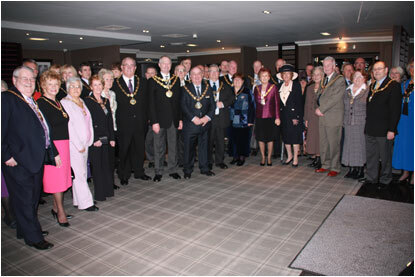 The “chain gang” at the 2011 Annual Luncheon (Village Hotel, Bury) .